The pepper steak sausage is one of our most popular beef sausages. 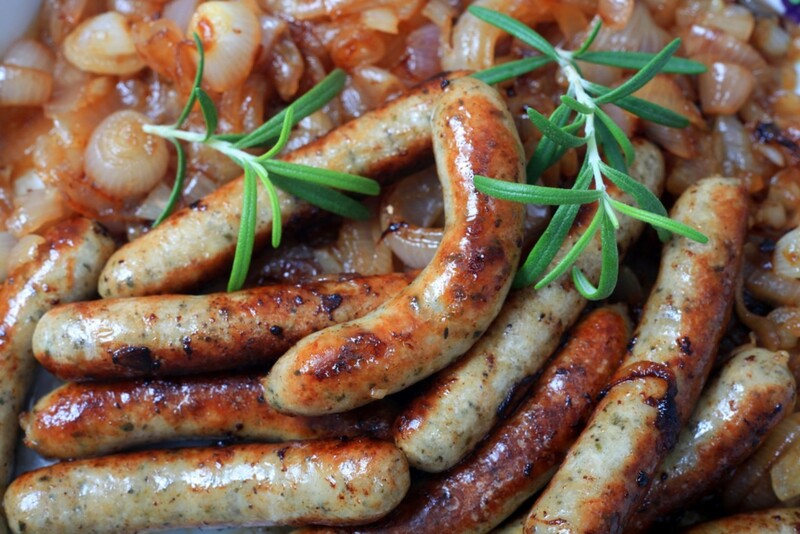 Both our retail customers and restaurant customers love this sausage. The steak sausage is made with a chuck beef from a rare breed organic beast. All our beef is bought in carcase form; so unlike the supermarkets, we can guarantee our customers that when we say it’s beef it really is beef! Made with a lean chuck beef, fresh coriander, onions, garlic, white pepper, sea salt and iced water so you get a truly gluten free product. TOP TIP: Place in the oven on 200 degrees, gas mark 5 and cook for 20-25 minutes turning once to ensure an all round crispy skin.